Strapless dress with beautiful lace leaf detail on waist. Corset back. Colour is Ivory Champagen but have also seen it listed as Latte in store. Some damage on skirt that was repaired as best as possible. There are minor tears in the fine silk top layer in the train as shown in photos. Please let me know if you would like more photos. 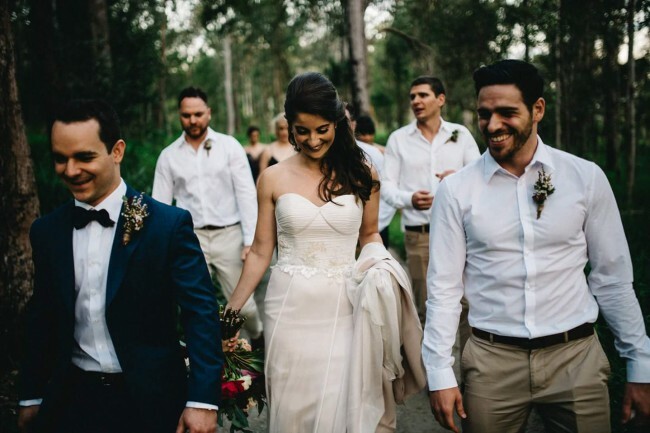 Dry cleaned and repaired at Syndal's bridal dry cleaners Armadale and has 50% off voucher for the next visit. Dress was shortened (I am 164cm) to suit my height and shoes. Also added wrist strap and button/bustle for dance. See photos. Once you send a message, Milena can invite you to purchase the dress.